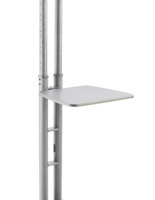 These portable Plasma TV stands let users adjust the height of the screen to the perfect position. 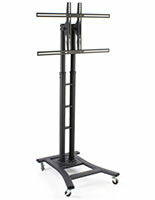 The LCD television racks raise and lower the monitor to one of the eight pre-set holes along the 44" to 71-1/2" post. 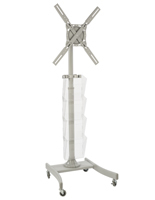 These mobile Plasma TV stands, similar to flat panel monitor holders, are made to accommodate 37" through 65" screens for a slew of advertising possibilities. The bracketing is strong enough for televisions that weigh up to 110 pounds. 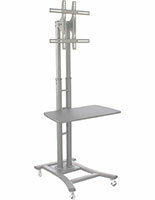 These commercial Plasma TV stands follow VESA guidelines for attaching televisions from most major brands. 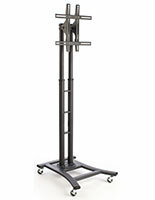 The LCD television racks come with hardware kit that includes washers, spacers, and screws for mounting the monitor. 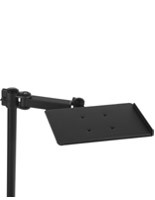 These portable Plasma TV stands may require a slightly different screw, but that hardware can easily be found at a hardware store. 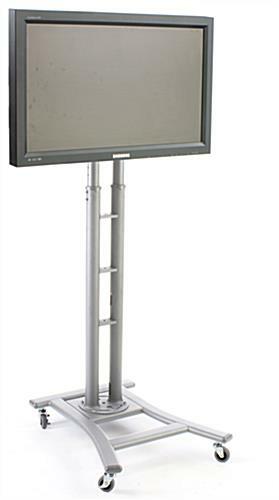 The flat panel monitor holders are a wonderful addition to promotional campaigns in almost every area. These mobile Plasma TV stands have four casters attached to the bottom to wheel the unit around. The wheels each have a lock to maintain position when the units need to remain stationary. 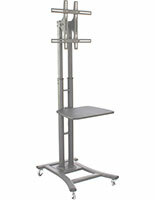 These commercial Plasma TV stands are constructed out of aluminum metal for durability. 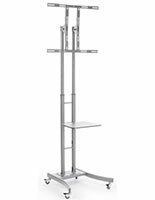 The LCD television racks feature completely silver finishes for a modern appearance that will blend in with most settings. These portable Plasma TV stands are sent out knocked down to lower shipping costs and price points. 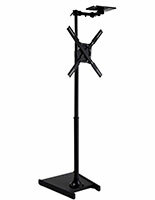 The LCD television racks can be quickly assembled with the help of the instruction manual and hardware. 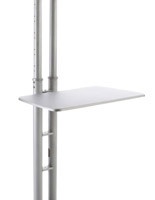 These mobile Plasma TV stands tilt and adjust to get the best position possible. The flat screen monitor displays make for a wonderful addition!